Dimensions: 57" wide x 78" tall x 26" deep. 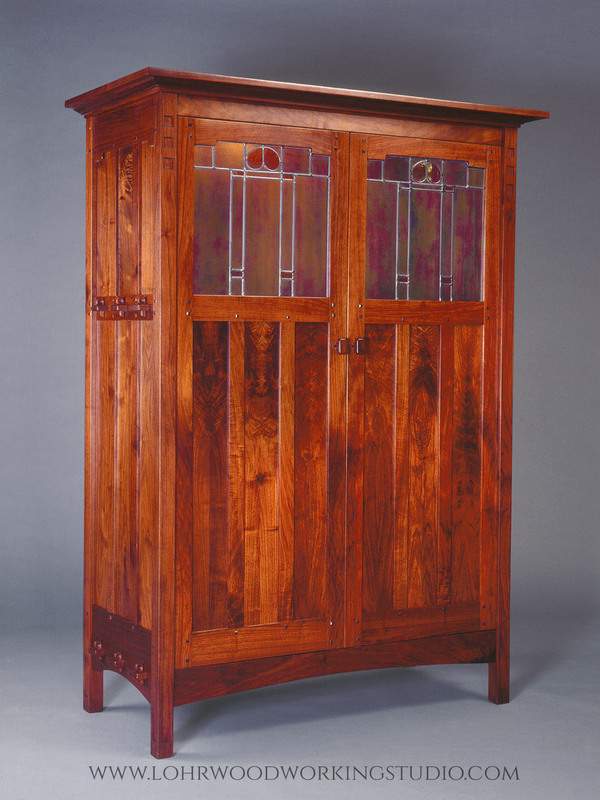 This showstopper truly embodies a unique take on the Arts & Crafts style with it’s solid wood construction and leaded glass panels. Everything down to the pins and door pulls are handmade in our shop. The whole armoire is made to be dismantled so you can move it anywhere in your home. Notice the removable pins on the sides, by removing those you can knock down the piece into several parts for easy moving. 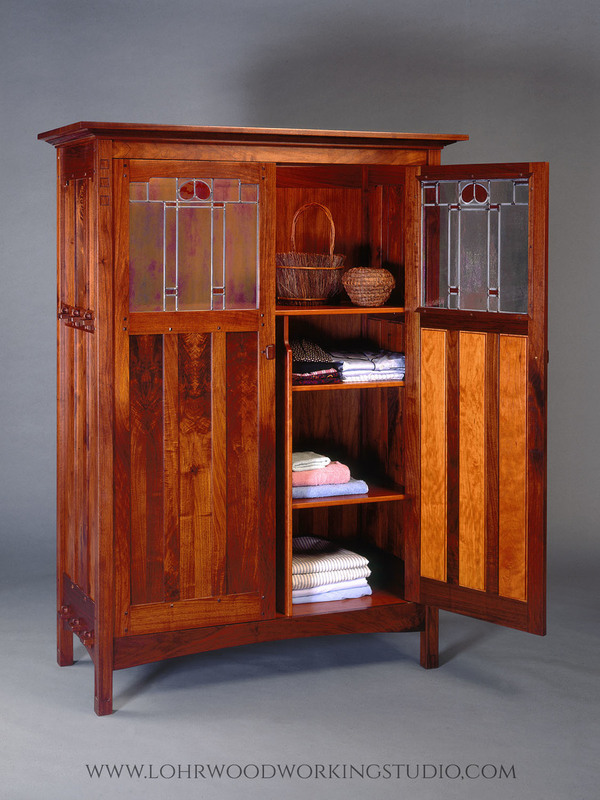 Jeff Lohr had a 7 page feature done on this piece in American Woodworker magazine in the 1990s but a functional statement piece like this is timeless.